People and Society: Bankstown fire flat: a 'mini-boarding house'? Bankstown fire flat: a 'mini-boarding house'? Like many people, we've been disturbed and saddened by the reports of the recent fire at the Euro Terrace apartment block in Bankstown, where a young woman died after she and a friend leapt from a fifth floor flat to escape the flames. Our thoughts go to the family and friends of the young woman who died, and the other young woman who survived with serious injuries. We feel too for all those residents made temporarily homeless while awaiting repairs. According to early reports, there were defects in the way the whole block was built: in particular, it had allegedly had an unauthorised roofed atrium added, which trapped heat and smoke in building. Lately it has been reported that there were problems within the flat itself: in particular, that part of the dining room had been walled off to create an additional (fourth) bedroom, and locks had been installed on the bedroom doors. The implication is that the flat was being operated as a 'mini-boarding house'. We make no comment here as to the liability of the builders or certifiers of the block, or of the owner or managing agents of the flat. We will also not go here into the question of the adequacy of current laws about building certification or fire safety. What we will we consider here is how the NSW State Government's proposed boarding house law reform might operate in relation to a flat operating as a 'mini-boarding house', on the facts as reported by the Herald. We stress: this is conjecture – the Government's draft Boarding Houses Bill is not law, and if and when it becomes law, there may be differences between its terms and those of the current draft Bill. Before we leave the question of coverage: under the current terms of the draft Bill, the flat would not be covered – even if five or more persons lived there – if the flat is subject to a residential tenancy agreement (ie between the owner and one of the residents, or between the owner and an absent head-tenant who rents out the rooms). We've previously called this a fatal loophole in the draft Bill, and we understand that the Government sees the problem and will fix it in the final version of the Bill. Secondly, there is the issue of registration. If a flat is a tier 1 boarding house, the draft Bill says the proprietor (either the owner or the head-tenant, whoever is letting the rooms) must register the flat on the Boarding Houses Register (which would be established by the legislation). Registration has nothing to do whether the premises are approved for use as a boarding house by the local council – that's a separate process. For the purposes of the Boarding Houses Bill, if the premises fit the definition of a registrable boarding house under the Bill, they've got to be registered (whether approved for use as a boarding house or not); if they're not registered, the proprietor is guilty of an offence. Of course, if the proprietor knows that the flat is not approved by the council for use as a boarding house, or that it does not comply with building and fire safety requirements, they'll probably not register. If that's the case, the Boarding Houses Register might still help the local council catch up with them. Say a neighbour is suspicious about the fact that what looks form the outside to be a three-bedroom flat is home to several adults. The neighbour would be able to search the Register (it will be online) for the premises and, finding no match, then report their suspicions to the local council. They might also report their suspicions to NSW Fair Trading, as the keeper of the Register, which might then prosecute the proprietor's breach of the registration requirement. Thirdly, there is the issue of building and fire safety requirements and standards. This is what the council will consider when it inspects or investigates the premises. For the council, there's also the question of whether the use of the premises as a boarding house is approved and what to do about it in the very likely event that it is not approved. In considering these questions, the council will be looking at what the Environmental Planning and Assessment Act and Regulation, its own Development Control Plans, and the Building Code of Australia say about boarding houses. What these things say generally proceeds from the BCA's classification of boarding houses into two classes: Class 1b buildings and Class 3 buildings. Class 1b boarding houses are typical small-medium sized boarding houses (not more than 300 square meters in area, and accommodating not more than 12 persons), but because they are defined as being 'not located about or below another dwelling or another Class of building', a flat in a strata scheme won't fit the definition. Class 3 applies to boarding houses other than Class 1b boarding houses... but the assumption in the BCA and elsewhere is that these will be large boarding houses (not 'mini' ones, like a single flat), capable of complying with relatively onerous requirements in relation to shared facilities, such as kitchens and bathrooms, and fire safety (for example, sprinkler systems). It's difficult to see how a typical flat could comply with the requirements of a Class 3 building, but that's for the council to determine. There's also the issue of the number of persons residing in the flat – and the question of overcrowding. This is addressed in the standards for 'places of shared accommodation' in Part 2 of Schedule 2 of the Local Government (General) Regulation, which provides (at clause 1) that councils can determine a maximum number of boarders or lodgers for each bedroom or dormitory, and for the whole of the premises, for premises that are 'places of shared accommodation'. Under the draft Boarding Houses Bill, these standards would apply to all registrable boarding houses. 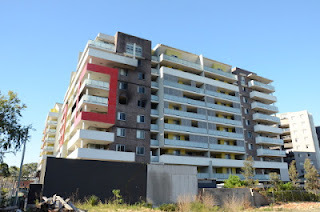 The council might consider any limits on numbers of occupants it may have provided for in its own development approval for the strata scheme. A further note on the standards for places of shared accommodation under the Reg – it is hard to see a flat complying with some these: for example, the requirement at clause 2(2) that 'a schedule showing the numeral designating each bedroom and dormitory and the number of persons permitted to be accommodated in each must be conspicuously displayed on the premises'. So, there are many ways in which a flat operating as a 'mini-boarding house' might contravene the requirements and standards applied by councils. that the proprietor take action to bring the premises into compliance with the standards for places of shared accommodation. The power to make these orders already exists (the first five are from section 121B of the Environmental Planning and Assessment Act 1979; the last is from section 124 of the Local Government Act 1993) – but it seems to us that the reforms in the Boarding Houses Bill would help in the identification of premises that councils should be looking at, including 'mini-boarding houses' operating from blocks of flats, and usefully direct councils get in and make orders where necessary. When it comes to learning from and responding to the terrible event at the Euro Terrace, it may be that changes to the law about building design and certification will be the key to safer flats and buildings, but the changes to the law already pending in the Boarding Houses Bill can also be seen as contributing to the same end. Bonds for social housing tenancies?